It’s a complex world out there and educators are at the front line; having to absorb what’s happening and develop strategies to help their students navigate and thrive. 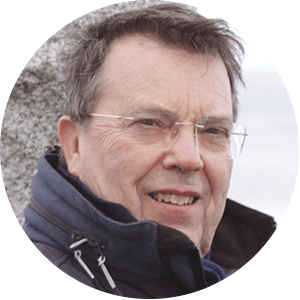 David Homer is also ex officio member of the board of governors and has extensive experience in assessment both within the UK examining system and internationally. He has acted as a consultant for Ofqual, the UK examinations regulator, and was until recently the IB chief examiner for physics. In today’s increasingly complex world, what role does the IB play and how are we making an impact? The modern world moves at a tremendous pace. One of the challenges for educators is to ensure that students can respond to this rate of change, not just in school and university, but beyond. The IB has a very clear mission statement and part of this says that all four programmes “… encourage students […] to become active, compassionate and lifelong learners”. This says it all for me. The key words in terms of responding to change are: active and lifelong. We make a clear impact because our curriculum reviews focus on conceptual learning, creativity and flexibility, not on rote learning. Compassion is needed when we help those people left stranded by change—whether political or societal. IB graduates develop the mental resilience and understanding to cope with these issues. You’ve been a teacher, examiner, member of IBEN, chair of IB examining board … what one piece of advice would you give to educators today? Don’t lose your nerve! Educators today are beset by pressures, many of which did not exist fifty years ago. I am thinking of regulatory pressures, financial pressures, pressures from society, and so on. Teaching young people is one of the great vocations, perhaps the greatest because it is how we hand our culture and values (in the broadest sense) on to the next generation. All young people need to be challenged and we must provide challenging teaching—even if this is sometimes against the grain of authority. How do you see the IB’s education evolving in the next 50 years? I’m a great believer in the saying: “if it ain’t broke, don’t fix it”. I see IB graduates who are now in their thirties and forties, I see others fresh from their Diploma years. I don’t see much difference between them. They are all confident, mature and caring men and women who clearly benefitted from the depth and breadth of their IB education. They are carrying the values of their learner profile into later education and working life. The IB will still produce accomplished young people like this in fifty years’ time providing it can weather the changes that the future will bring. I cannot predict what this fifty-year future will be like. I don’t know how assessments will be administered or the extent to which subjects and subject groups will have come and gone. What I do know is that the IB will respond to the changes as effectively as it has done over the past half century. This means continuing to be flexible and nimble, to be innovative, to respond to change in a meaningful way, and to focus on the mission and the learner profile. If the IB can continue to do this, the future will be secure. As we are celebrating the impact of our educators, is there a teacher who inspired you during your education? I was fortunate to be taught by many inspiring women and men throughout my education; I have also been lucky to work as a teacher and examiner with inspiring colleagues (Diploma and Career-related students might think it odd that examiners can be inspiring, but they can!). Many of these colleagues, still in the classroom, would be deeply embarrassed if I gave their names here. One thing they have in common is that, whether IB teacher or no, they would all recognise the IB learner profile both as an aspiration for all their students and as a personal goal for themselves. If I single out one person (who I never actually met) who inspired me deeply when I was young and who continues to do so, it is the scientist, mathematician and communicator Jacob Bronowski. He would have regarded himself as a teacher. His humanity is evident in all his writing, whether poetry, literary criticism, philosophy or science; he was a man of the greatest breadth. Towards the end of his life he made an influential television series entitled The Ascent of Man—it traces the development of society through scientific understanding. Those who watched the programmes or who read the series book will have recognised the importance to the scientific development of our species of inquiring, knowledgeable and principled thinkers. They will also have learnt of the underlying humanity of science and the need to appreciate that other scientists, with their differences, can also be right.